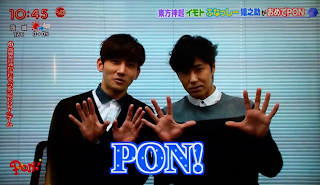 Home » videos » [VIDEO+TRANS] 150105 Tohoshinki on PON! [VIDEO+TRANS] 150105 Tohoshinki on PON! Yunho: To everyone watching PON, Oki-san(? ), happy new year!